CIV-MC20 provides mobile computing ability to medical staff in a convenient and flexible cart, enabling physicians and nurses to gain access to digital resources (diagnostic images, patient records, medical databases, etc.) anywhere on hospital grounds. 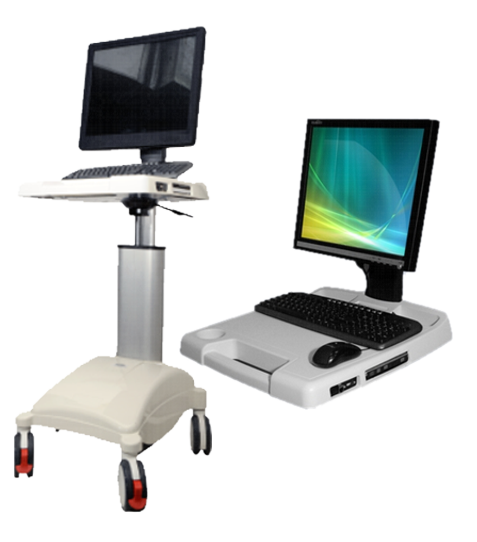 CIV-MC20 is an integrated system, in which the computer and power supply are built into a mobile unit specifically designed to meet medical needs. Flexible modular design and ample available physical space allow you to configure the cart according to your needs. The cart accommodates a range of computer and power system types. You can use either the standard recommended configuration or devices of your choice. The cart also accommodates a range of accessories to meet the specific needs of your staff and department.